This entry was posted in Mentalists, Race and tagged Al Sharpton, Cadbury, Chocolate, Jesse Jackson, Naomi Campbell, Operation Black Vote, Racism. Bookmark the permalink. So there is race idiocy on that side of the Pond too?! I love the captioning re diamonds in the picture. Brilliant! The chocolatiers and by that I mean people that make sweets as opposed to anything related to people of color are clearly playing more on the diva angle. Campbell and her allies in this insipid cause are idiots. Thanks for the comment Alfie. Unfortunately we have it too and it is becoming more and more frequent, and the cases are getting sillier. One case recently had a woman investigated for racism for using the phrase ‘jungle drums’! But I guess these racial equality people have to prove their worth somehow. Preposterous! Are we to believe that MS Campbell can incur an inferiority complex when rated against a chocolate bar? And is it possible that her only response to her feelings of such could seemingly lead her to get more money out of yet another (unlooked) for – source? Where was her sense of humor, where the playfulness that enlivens truly great talent? And the greatest ‘mis-demeanor’ of all? Having Al S. and friends speak for her… Theirs is a singular mission – the defamation of all character – white, businesses, religious, or any other facet that can reveal a platform for diatribes on the inequalities issue. 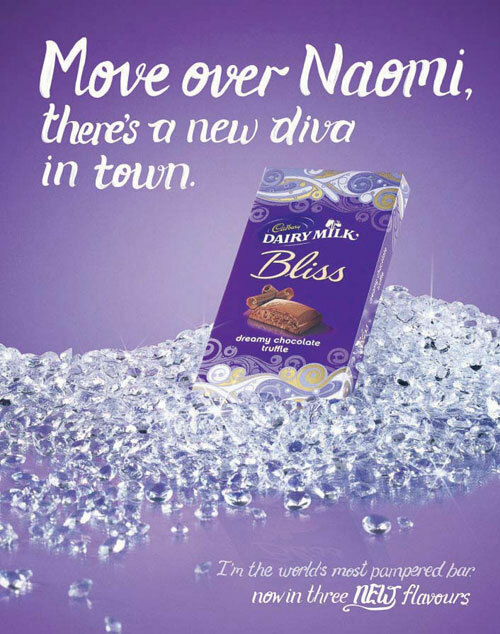 Had she really believed that Cadbury wasn’t just referring to Fame, generally?? Why not a touche of a pic with here saying I love Cadbury, we’re beautiful together? Only persons who rise above and purpose to eliminate discriminating modes through positive redress can effect change. but again, this wasn’t about the lot of us was it? Does she ever eat chocolate – you know it has a pleasant mood altering quality? What was most surprising about all this was that even Al Sharpton couldn’t find anything racist about it, and just said Cadbury shouldn’t have referred to her as an object! I don’t she has a sense of humour at all, she is just not a very nice person at all.